July 23 , 2015. Jean -Félix at a workshop about grief at Caroline Roy Centre in St-Ludger, Canada. During the workshop each ones wrote a letter to disappeared loved one. June 5th, 2015. 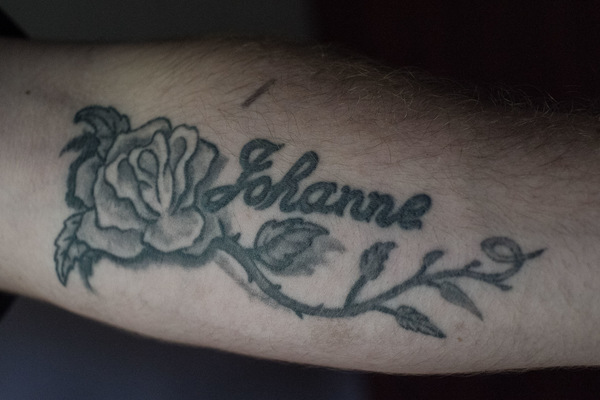 Jean-Felix tattoo in memory of his mother Johanne, who died of breast cancer in 2013. June 11th, 2015. Daily group meditation in the Caroline Roy center. It is a way to release tension and get rid of negative thoughts. November 1st, 2015. Jean-Félix smoking a cigarette on the road to his friends place. October 31st, 2015. Jean -Felix is preparing an oxycodone injection. Also called Hilly Billy heroin, this medication is prescribed to relieve severe pain. The availability of opioids and other prescribed drugs has been accompanied by an alarming increase of their abuse in North America. On September 2nd, 2015, Jean-Felix visits his friend "Mercredi" in his hometown of Jonquiere, Canada. When he left the therapy, Jean-Felix went back to his old habits. November 1st, 2015. Jonquiere, Qc, Canada. 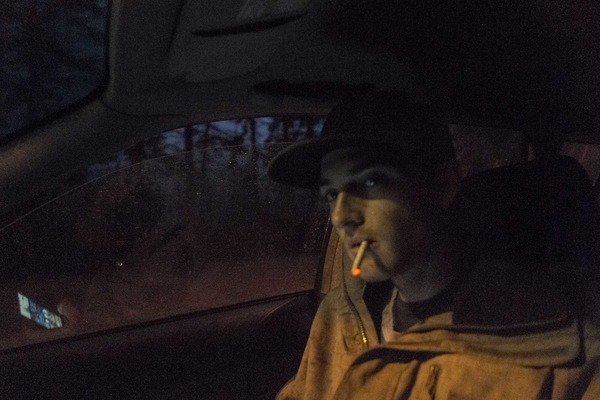 Jean- Felix injects a dose of oxycodone in a fast-food parking lot. A few minutes later he went to Jonquiere Health Center and Social Services for a supervised withdrawal. November 1st, 2015. 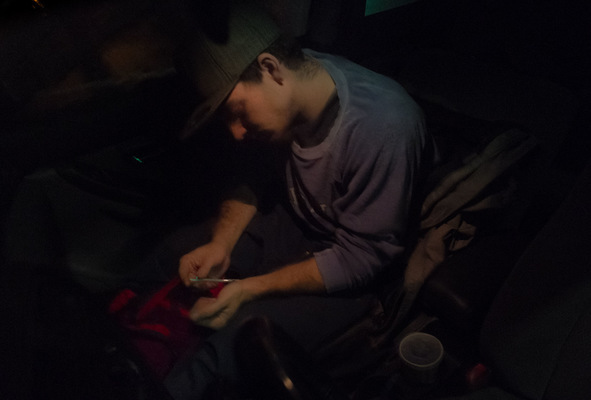 Jean- Felix injects a dose of oxycodone in a fast-food parking lot. 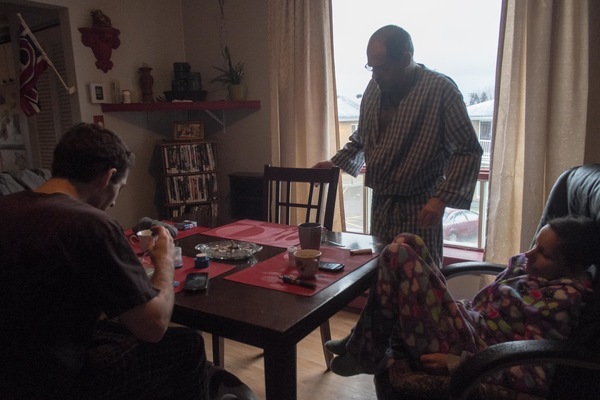 A few minutes later he went to Jonquiere Health Center and Social Services for a supervised withdrawal. May 19th 2015. 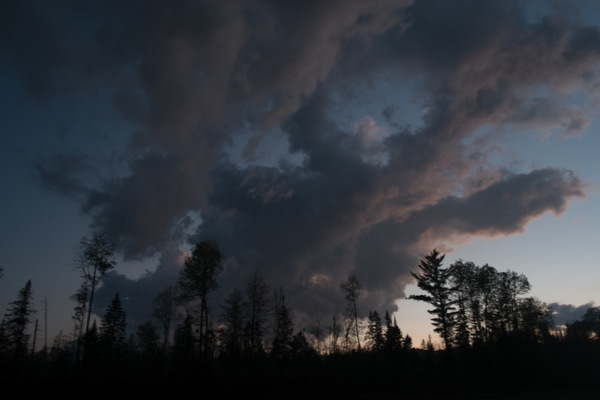 Night falls on the Caroline Roy detox center backyard. The 2015 budget cuts in health and social services have great impact on the Quebec social and econmic stability. Social security beneficiairies following a drug addiction therapy used to receive 700$ per month. Since May 1st 2015, they only get 200$, which is half the month therapy's cost. 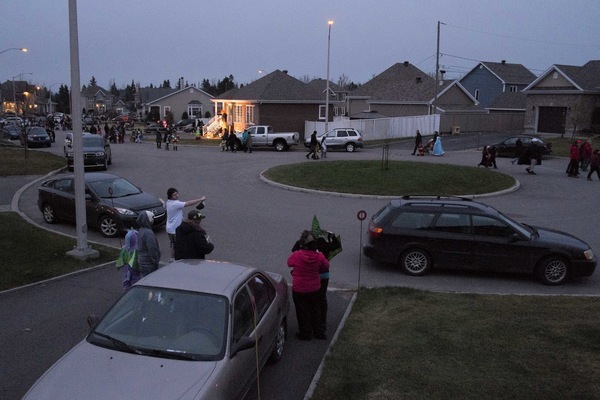 St-Ludger Canada. 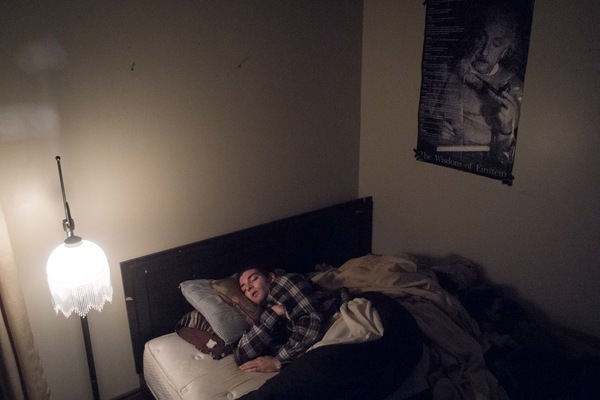 Jean-Felix sleeping in is bedroom at his father house at Jonquière Canada. He does not put any sheets on his bed : "I move too much during the night. I take them away every time." November 1st, 2015. Jean- Felix visits Eric and Marie-Eve two good friends who also use drug daily. They try to convince him to stop using injection drugs. November 2nd, 2015. 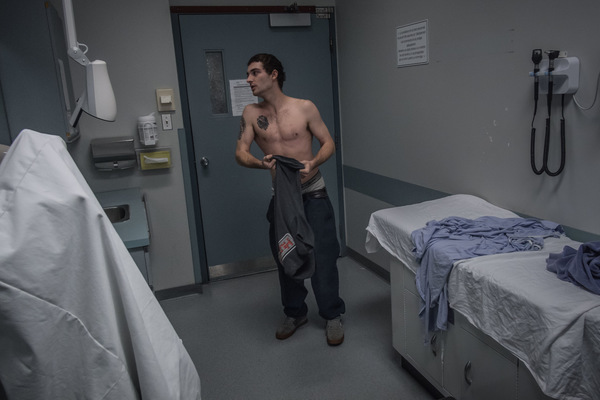 Jean-Felix looks at himself in a mirror while he waits to see a doctor at the Jonquiere health center and social services . Since its release from therapy, three months earlier, he lost 20 kilograms (45 pounds). May 20th, 2015. 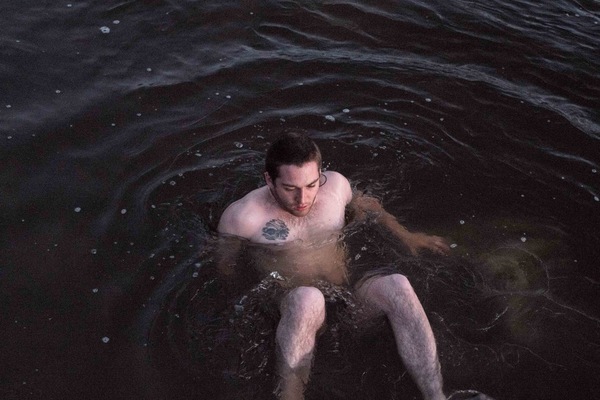 Jean-Felix swiming in the cold water of the Chaudiere river. "Yon cannot imagine how lonely I feel."